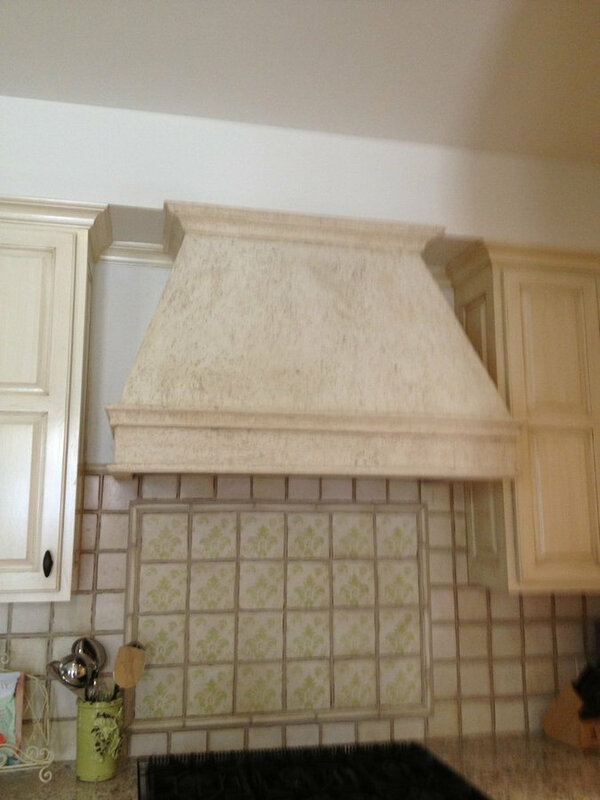 This hood looks authentic. 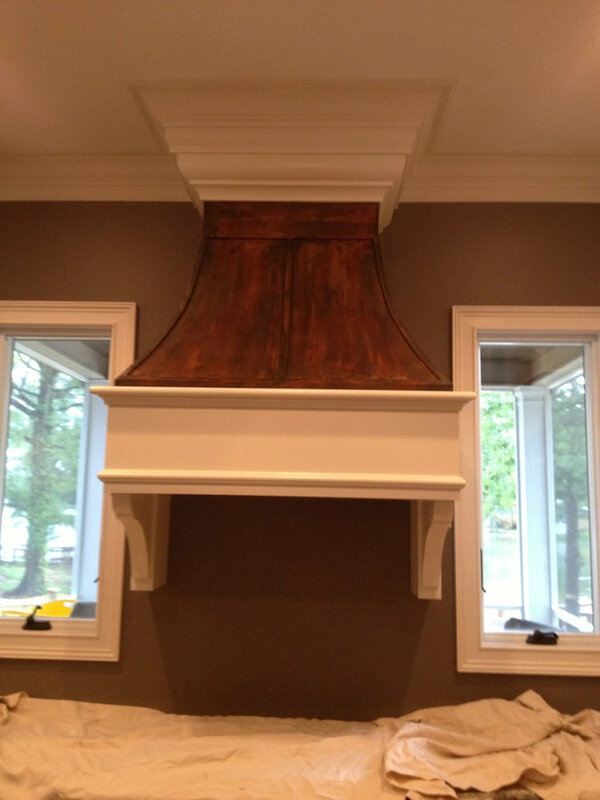 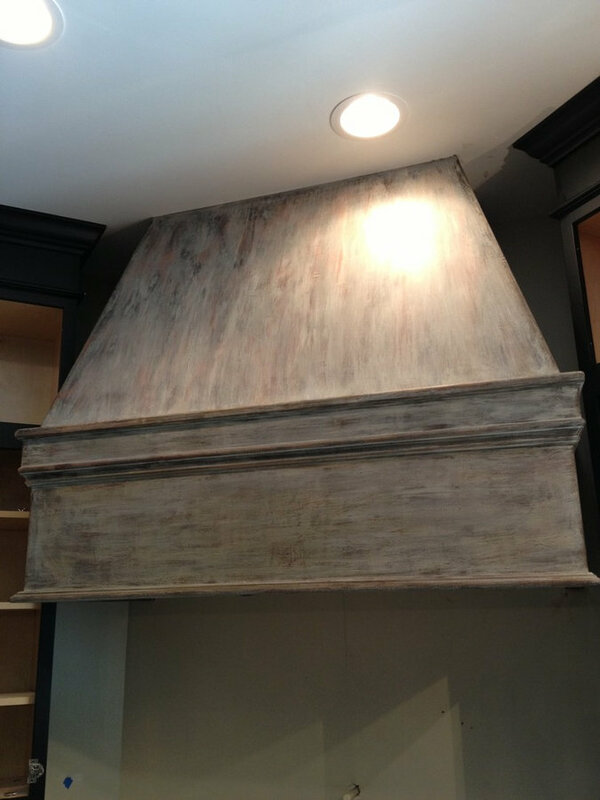 A wooden stove hood turned into an old metal hood. 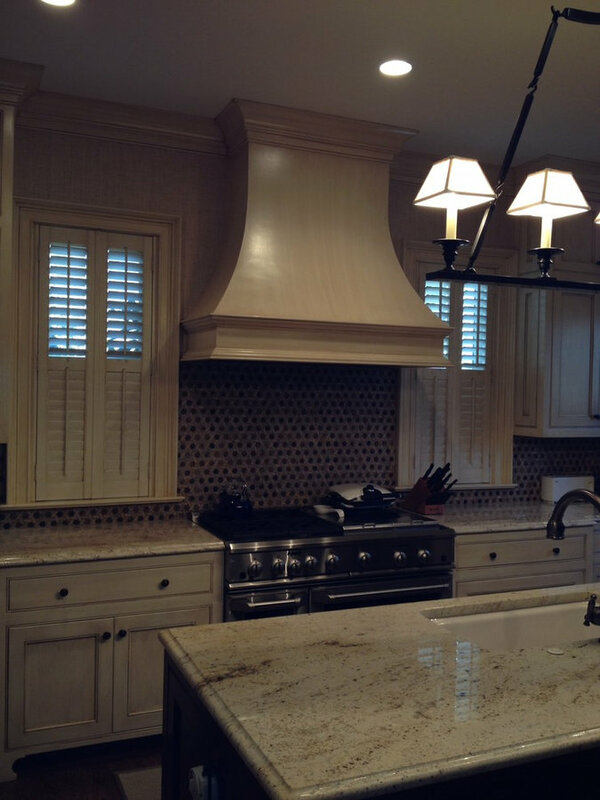 The old world texture of this hood adds interest to this kitchen. 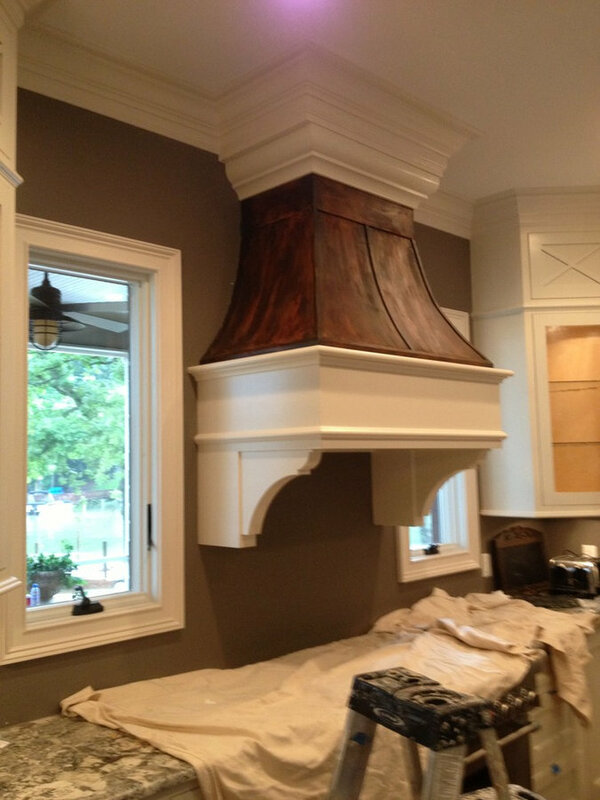 The finished hood that we made look like old stone. 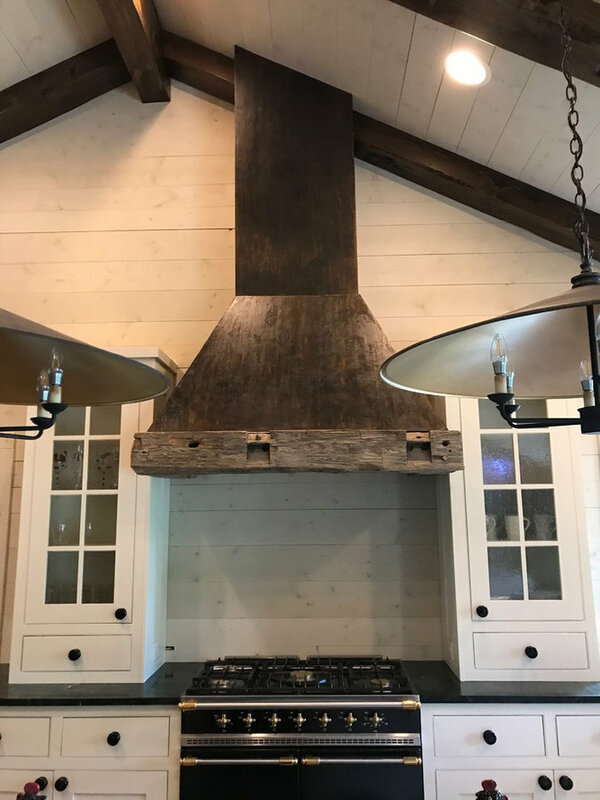 The rust finish on this hood creates texture and interest in this kitchen. 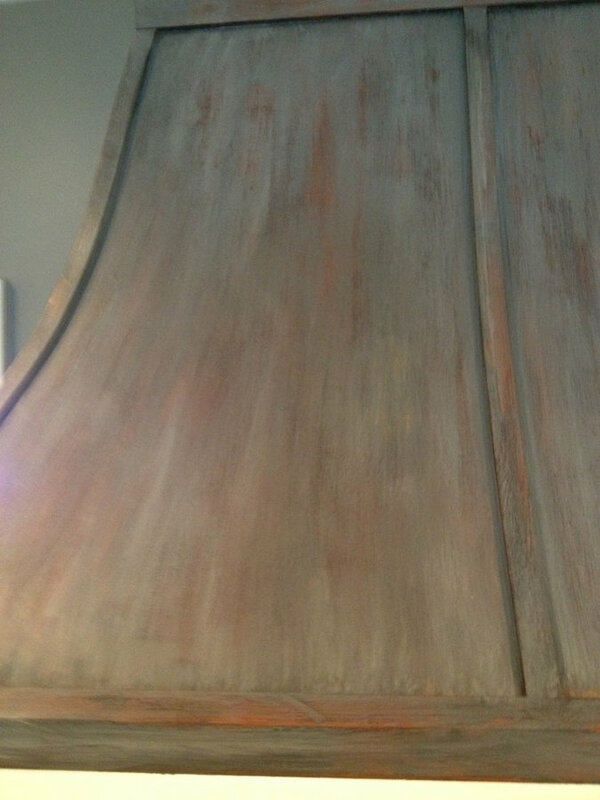 This view demonstrates the colors and texture that we create in this finish. 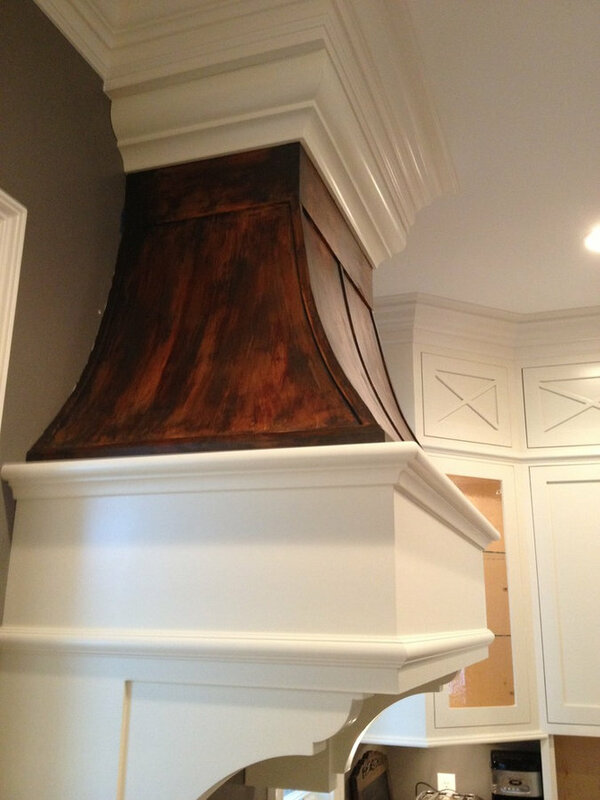 This is a side view of our rust finish hood.it has quite a unique look. 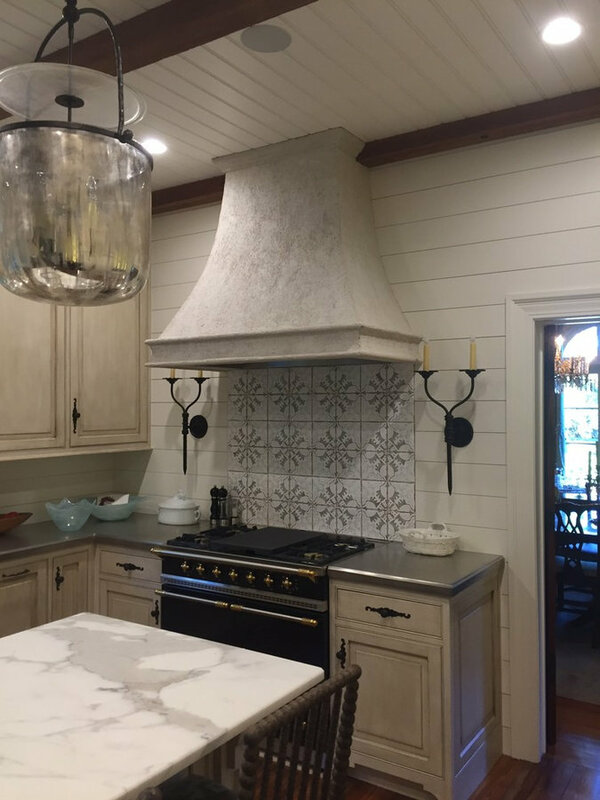 The distressed look of this hood adds a interest to this kitchen. 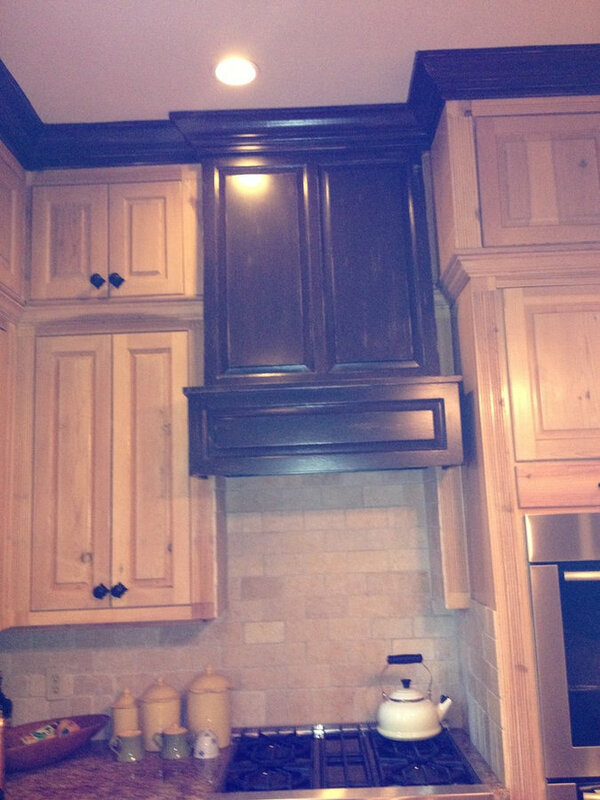 This black hood was painted and distressed to create a different look in this kitchen.